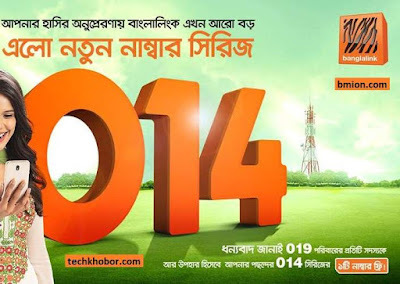 Banglalink "014" SIM Free! Lifetime 54p/min between two SIMs! 1GB Free! “014” The New Family Member of Banglalink! The new SIM cards will be available in all SIM selling outlets in the same price and in the same SIM tool kit packaging. The 014 Number will be eligible for the complete Acquisition Offer.